The causal link between modernization and secularization constitutes the core of secularization theories, but what these theories often overlook are the ways in which modernity can benefit religion. 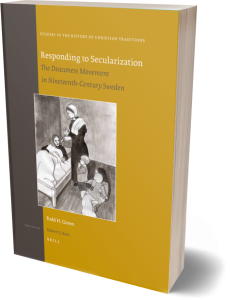 Focusing on the female diaconate’s contributions to education, health care, and poor relief in nineteenth-century Sweden, this book argues that modernization created new possibilities and opportunities for religious communities to wield public influence. The rise, growth, and social significance of the deaconess movement remain incomprehensible apart from the very modernizing forces that secularization theories claim are detrimental to religion. A fuller and more nuanced study of the degree of continuing influence enjoyed by the churches in secular Europe. This book will be required reading for students of nineteenth-century religious life in Europe as interest in the topic broadens beyond the Anglo-Saxon world.